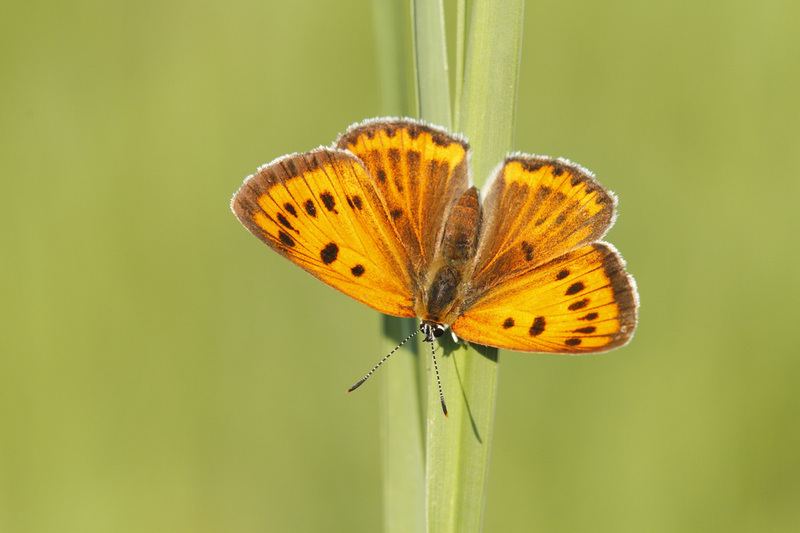 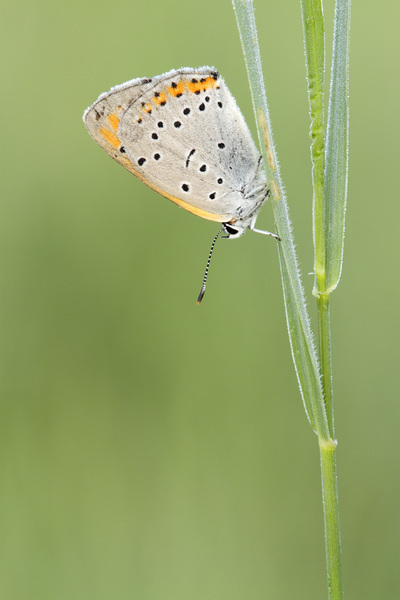 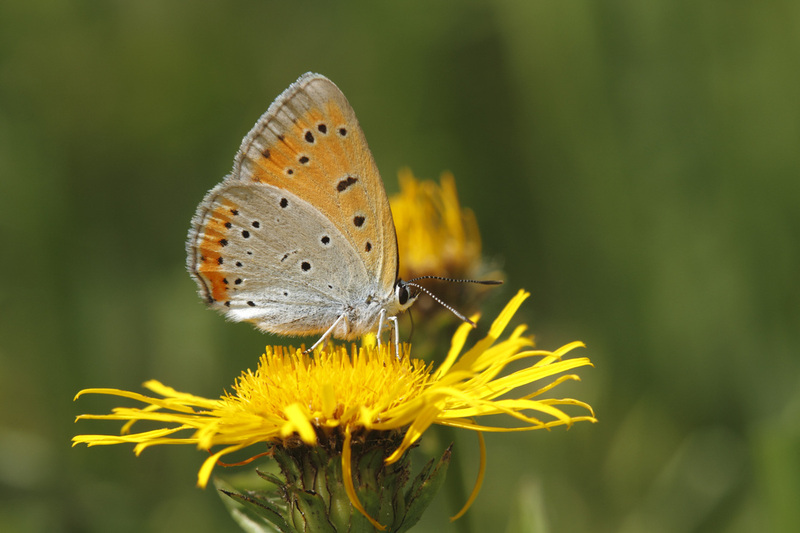 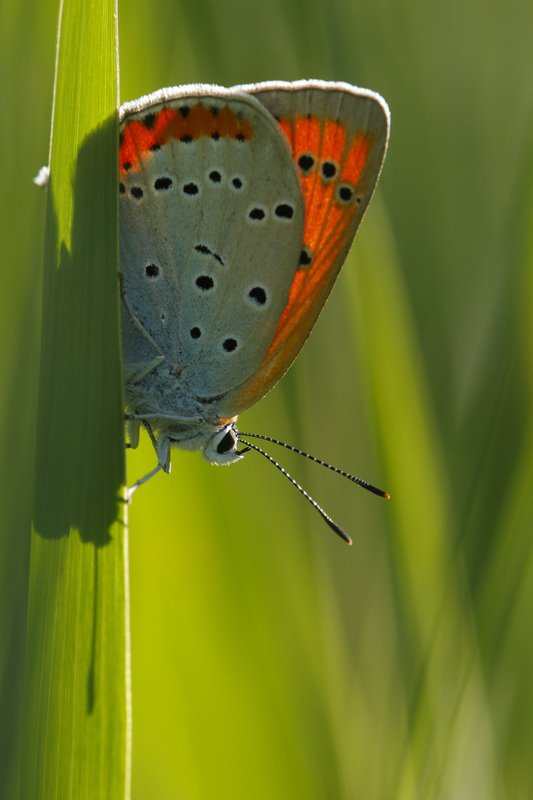 There are two subspecies (or races) of this butterfly in Europe: Lycaena dispar batavus and Lycaena dispar rutilus. 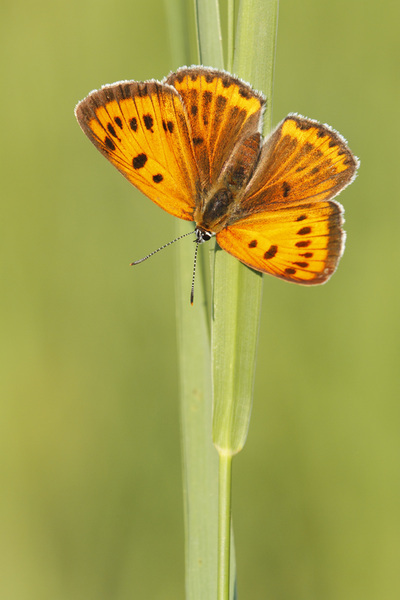 The male upperside is brilliant coppery red/orange with black borders. 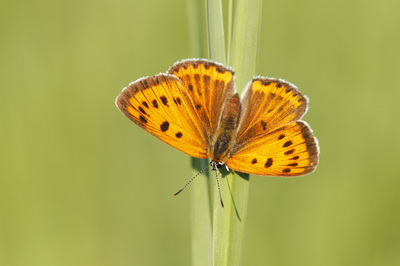 The female forweing is largely orange with large sooty spots and a broad sooty border. 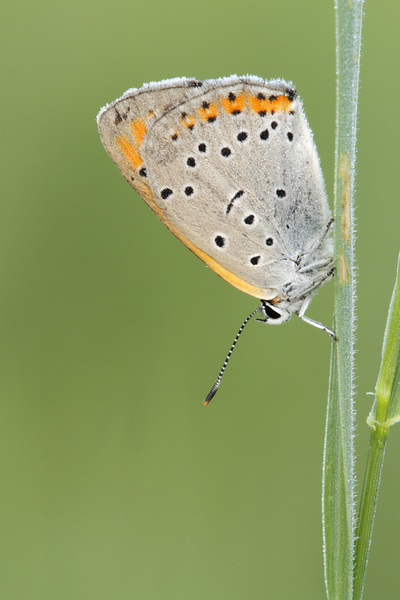 In both sexes the underside of the forewing is orange with large black spots and a broad grey border; the hindwing is grey with black spots and a broad orange submarginal band.